Looking for a retirement home that offers complete peace of mind? It’s all here. An easier lifestyle – where someone else takes care of lawns and gardens, leaving more time to relax and enjoy life. Companionship – you need never be lonely in a lifestyle village, with a community of like -minded people as your neighbours. Lifestyle – different lifestyle villages offer different lifestyle amenities, but all share a common goal – to provide residents with a range of activities and amenities to allow them to enjoy life as much as possible. Security – within a secure community with a Village Manager on site. Barton Fields Villas is being developed under the Unit Titles Act. As such all villas will have their own freehold unit titles. In addition to your freehold title you also share in the ownership of Barton Lodge. What are the Advantages of Freehold Title? remain fully entitled to any capital gains made upon sale. Will the development be staged? Stage Three – will comprise the Gerald, Maurice and William Villas on Clydesdale Way. Stage Four – will comprise the Albert Terrace Apartments. Stage Five – will comprise the two storey Earl Apartments villas. The start date for Stages 4 and 5 is yet to be determined, and will be subject to sales. When will the Community Centre be built? Building consent has been granted and construction of Barton Lodge is imminent. The Barton Lodge will be completed in 2017. Will there be a Manager on site? What will she/he do? How do the financial arrangements of Barton Fields Villas work when you purchase your villa? Once you and your solicitor are happy to proceed you sign the Sale & Purchase Agreement to complete the sale. This would set out the price, deposit required, settlement date, and any other conditions that may be agreed between the parties. We would normally give you up to 6 months to settle. This would give you plenty of time to organise your finances and sell your home if required. The next important step is to get your Sale & Purchase Agreement unconditional because that is when you can be certain that your villa will be yours. If you are fortunate enough to have access to sufficient cash or you are confident about selling your own home within the agreed time you may go unconditional immediately. This is the best option for you because it will give you complete certainty about your purchase. If you need to sell your own home Barton Fields Lifestyle Villas would recommend using our preferred licensed real estate brokerage ‘Bellamy’s – everything property’. If you need to raise finance, Bellamy’s again would be able to help you or refer you to someone with specific expertise. It is important to keep in mind that the central goal is to get your purchase unconditional as soon as you possibly can so that you can be completely certain about your new residence. Please make sure you read the Bellamy’s brochure which forms part of your Barton Fields Lifestyle Villas sales compendium. Once the Sale and Purchase is unconditional the serious business of delivering your Barton Fields Lifestyle Villas property begins. A deposit of up to 10% of the purchase price is normally payable once your agreement is unconditional. However dependent upon your circumstances, other arrangements can be made. Please speak with our sales consultant for more information on deposits. 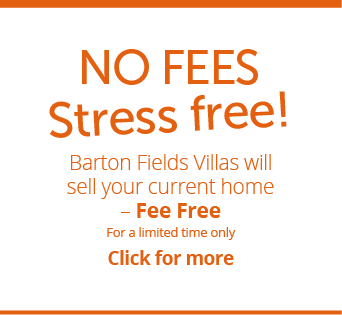 All deposit monies will be held in Barton Fields Lifestyle Villas solicitor’s Trust Account. Then no more to worry about until it’s time to move in, this will be settlement date, at which time the balance of funds are due. The final step in the process is the handover of your Villa. This takes place when we issue a Certificate of Practical Completion certifying that your Villa is ready for you to move into. Upon payment of your purchase price, free-hold title passes to you, we hand over the keys and the villa is yours. Am I able to take out a mortgage on my villa? Absolutely – just as you can mortgage your own home, so too can you mortgage this one. It has its own freehold title that you can secure your borrowings against. Having your bank help fund your build or your purchase may be the easiest option for you in the short term. How is the Weekly Fee set and what does it cover? Each year, the Residents’ Committee will work with the Body Corporate Manager to compile a budget for the operational costs of running the village. This is divided by the number of villas and a weekly fee per villa is derived. We anticipate the initial weekly fee will be less than $40 per week. What additional costs are involved other than the weekly fee? The only other additional costs are your rates, your power and telephone charges. Your power will be billed according to your usage just like in your home. What is the Residents Committee, who is on it and what do they do? The Body Corporate controls and runs the affairs of the village. During the construction phase the body Corporates work will be largely directed by Barton Fields Villas. On completion of the Village management control by the Body Corporate would be exercised through a committee elected by the residents of the Village. The Committee would normally comprise around 5 members, elected by majority vote each year at the Body Corporate AGM. The Body Corporate employs the Village Manager, sets the budget for the year, and is responsible for making any major decisions. The committee is ultimately answerable to residents through the Body Corporate each year. The Body Corporate is responsible for insuring each individual villa and all common property in the Village. The cost of this insurance is covered in your Weekly fee. The cost of insurance will be reviewed each year by the annual budgeting process carried out by the Committee. Who is responsible for interior and exterior maintenance? You are responsible for all interior maintenance. The Body Corporate is responsible for exterior maintenance, which is carried out by the Village Manager and paid for by the Body Corporate. The cost of this will be built into your weekly fee. We do not anticipate any significant exterior maintenance costs in the early years. Is there any entry age for Barton Fields Villas? Yes – at least one person occupying a villa must be aged 55 or over ( a spouse or partner may be younger than 55) to live permanently in the village. How do I sell my villa when I want to leave the village? How much does Barton Fields Villas take from the sale of my villa? 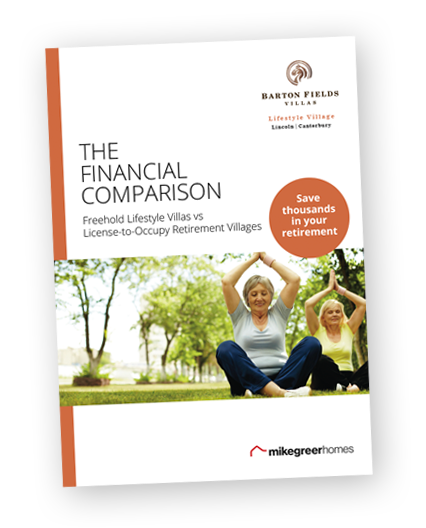 Absolutely nothing – this is one of the MAJOR differences between Barton Fields Villas and other Licence to Occupy Retirement Villages – there is no Deferred Management Fee. All the value of your house belongs to you. You receive all the benefit of any capital gain on your property. Can I rent out my villa or let my children live in it? 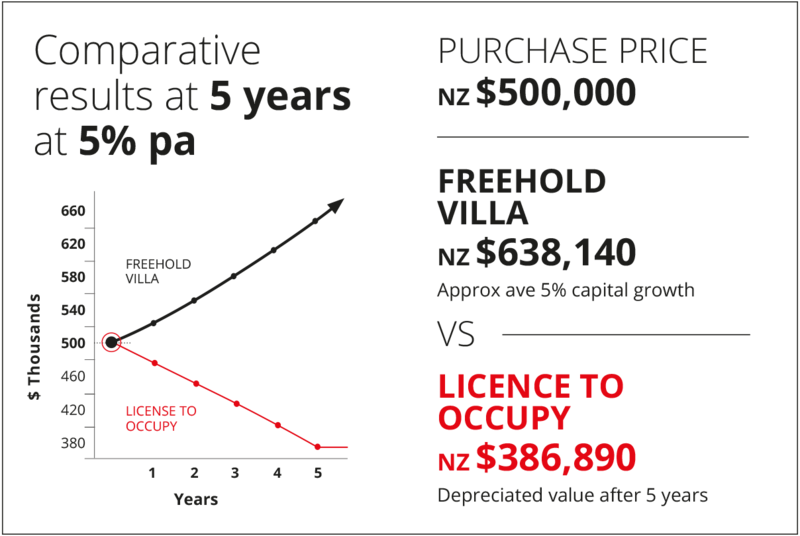 Yes, you may rent your villa but one of the occupiers must be aged 55 or over. Your children ?may live with you while you occupy the villa but cannot live in it by themselves (unless they ?are over 55). Absolutely, just as it would be your own home in the community. Will my villa be safe if I go away for a while? Please let the Village Manager know if you will be away for more than a week and leave a contact address or phone number. Because the Village Manager is regularly moving around the village, he/she will be able to keep an eye on things. You may arrange with neighbours to collect your mail, feed your cat or water your plants – if you want the Village Manager to do this, there will be a small additional charge. Can I have a pet living with me? Your domestic pets, within reason, are very welcome. For many residents, their pets are part of the family, and it would be unthinkable to be without them. Other unit title developments have an across-the-board ban on pets but give the Body Corporate a discretion to approve some pets. The Barton Fields approach is that up to two pets are allowed, but if an animal causes serious or on-going nuisance to other owners, the Committee can give notice to the pet owner to make sure that the nuisance is curtailed, and if it continues, the Committee can then require the animal to be permanently removed. We believe this approach strikes a fair balance, and recognises that the houses share common gardens and other facilities, and that they generally don’t have fences between them. We feel sure that the people who buy units will be responsible pet owners and that problems with pets will be few and far between. Can I redecorate the inside of my villa? Absolutely – it is your own home and you may redecorate inside as you please. Can I repaint the outside of my villa? No, the external appearance of all villas is set and controlled by the Body Corporate in order to maintain high standards within the village. At the discretion of all residents, this may be reviewed from time to time by the Body Corporate itself. Can I bequeath my villa to friends or family in my will? Yes, you can bequeath your villa to family or friends – but at least one person occupying it must be aged 55 or over to permanently live in the village. Who owns the title to the land? You do – this is another MAJOR difference between Barton Fields Villas and other license to Occupy retirement villages. When you purchase your villa, you are buying a freehold title to your villa and the land defined around it. Details of the boundaries of your section are shown in full on the villa plan. I am a keen gardener; can I decide what to plant around my villa? For decorative or flower gardens on your property – absolutely. However vegetables and other edible plants can only be grown around your villa in Raised Garden plots containing certified clean topsoil and sanctioned by the Body Corporate. What happens at the Community Centre? Residents can use the Community Centre in whatever way they wish. While there is no employed event’s organiser, what naturally emerges in villages is that groups of residents who are interested will organise different activities. This may be done by the Residents Committee or simply by groups organising themselves. We would envisage there will be activities as simple as Friday night drinks, mah-jong afternoons, card nights, movie nights, BBQs, big-screen TV of major sporting events, or indoor bowls evenings. Outside providers may be organised to come in (on a user pays basis) to organise line dancing, yoga sessions, or anything else that residents want. Will we be able to use the Community Centre for private functions? Yes – residents will be able to book the Community Centre for family activities e.g. significant birthdays, wedding anniversaries etc. There will be a nominal charge to cover wear and tear of $30 per day (paid to the Residents Committee). Residents would be responsible for cleaning the Community Centre after use and would of course be responsible to pay for any damage. Are you able to help me sell my current home? Yes, we are certainly able to help you through this process – we would recommend that you sell through our preferred licensed real estate brokerage ‘Bellamy’s – everything property’. They offer a professional preferential service to Barton Fields Lifestyle Villas and pride themselves on transparency, honesty and integrity. Please make sure you read the Bellamy’s brochure which forms part of your Barton Fields Lifestyle Villas sales compendium. How do I go about buying a villa in Barton Fields? and they will show you which villas are available or coming up. They will personally step you through the buying process and answer any questions that you have. The full sales process from there is outlined earlier in this document. The information provided to you in this letter has been provided in good faith and on the basis of the best information that we have at the time of writing. However, the future is inherently unpredictable and conditions or material matters may change unexpectedly resulting in Barton Fields Villas changing its plans. Accordingly this information is provided to you as an aid and/or as a service but we make no undertakings about the accuracy or veracity of what is said and accept no responsibility or liability for anything set out in this document.